Mindfulness colouring books are dominating online and offline sales, so we look at the benefits this trend for adults can bring. Colouring in has been a childhood hobby for hundreds of years, but recently there has been an influx of adults purchasing the books for themselves. Booksellers have been inundated with preorders of the latest black and white books to hit the shelves. It’s a phenomenon, and that’s not an exaggeration. In March 2015, Amazon’s best selling colouring book for adults, Secret Garden, knocked Harper Lee’s highly anticipated second novel, Go Set a Watchmen off the best selling spot. In August 2015, sales of adult colouring books increased by 20 per cent (including 36,500 copies of Secret Garden selling in just one week). So what’s the appeal of colouring in for adults? We live in a fast paced world where we are constantly connected. So the simple action of colouring in acts as a kind of digital detox, whilst also offering a healthy dose of nostalgia. The practice has been noticed by therapists and mental health practitioners alike, mainly because of the ‘mindfulness’ qualities it promotes. Fans of the new adult colouring books have been quick to cite the benefits that include a greater ability to deal with stress, improved sleep and relaxation. Many studies have shown that creative activities can produce many benefits to our well-being. Also, many therapists say that active meditation focusing on simple, repetitive tasks promotes a state of peace, concentration and can help replace negative thoughts. 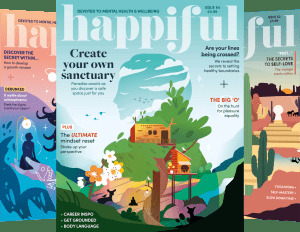 But is it really ‘mindfulness’, as so many publishing houses want us to believe? 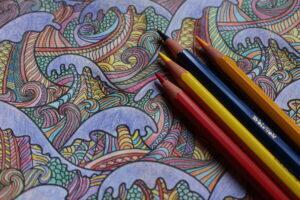 As Alexa Frey suggests, ‘mindfulness colouring in’ may simply be a buzz phrase. But it does promote a perfect way to switch off from the digital world to really help clear your thoughts. If you would like to discover more about mindfulness, take a look at our in-depth fact-sheet. Read and comment on the original Positive News article.